Driver focus and attention are key in cars with high-performance and that’s why Ford is going with all-digital instruments in its all-new Ford GT supercar. This set-up quickly and easily presents information to the driver based on five special driving modes. 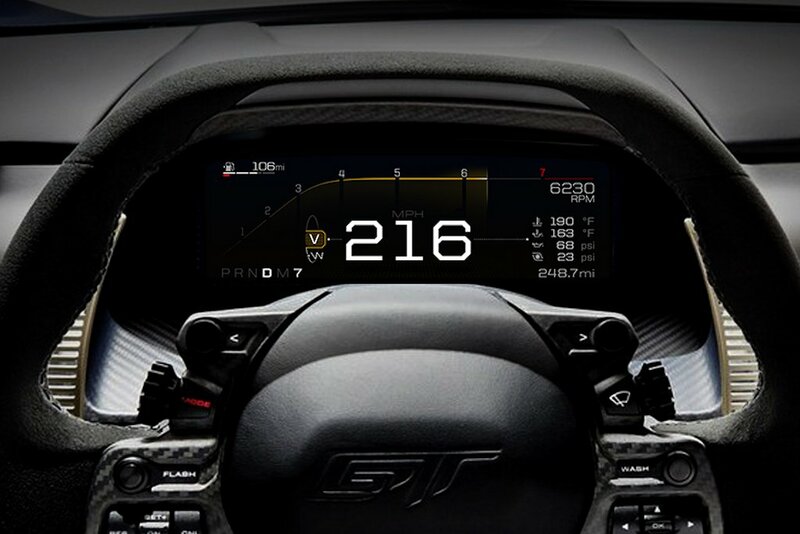 Ford engineers and designers created a 10-inch wide digital gauge cluster not just to be customizable but to be elegant ensuring that Ford GT drivers are provided with the data they need to make critical decisions behind the wheel in the most efficient way possible. The GT isn’t the only Ford vehicle that will receive full digital instrument display technology. This innovation is coming to other future Ford vehicles, another example that Ford continues raising the performance bar while ultimately improving vehicles for all their customers.